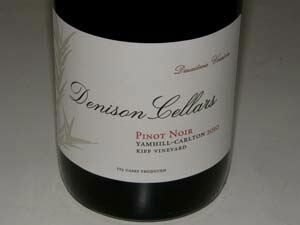 The idea is that there are many Oregon Pinot Noir wines in production “that are elegant, bright, energetic, balanced, pretty, and under 14% alcohol.” This is a push-back to the popularity in recent years of opulent, blockbuster wines that have garnered big scores, collected wine competition medals, and caught the public’s palate. For many wineries, their alternative style of Pinot Noir offers nuance, expression of site, and food-friendliness without sacrificing intensity of flavor needs to find a voice in the marketplace. Sound familiar? Read the first article in this issue on a California organization, In Pursuit of Balance, which is tooting the same horn. This case of wine reviewed here was meant to illustrate this movement, a renaissance of sorts, in which hopefully an alternative style of elegant and nuanced, bright and juicy Pinot Noir will gain recognition and desirability in the marketplace. I say a renaissance of sorts, only because there are some producers in Oregon such as The Eyrie Vineyards that have been producing this style of Pinot Noir for many years so the style is not new. It is the attempt to publicize and promote it on a large scale that is new. The Oregon wines in this case are not going to please the palate of those reared on California Pinot Noir of the Kosta Browne, Belle Glos, Williams Selyem, and Sea Smoke genre. Those producers will never go out of favor because they offer a captivating style of Pinot Noir that garners deserved attention. I say buy a few of these Oregon wines reviewed here or similar ones in style, and contrast them with some of the more powerfully fruity style of Pinot Noir wines, and decide what pleases you the most. You won’t find any of these Oregon wines reviewed here receiving high scores from the wine press, so let your own palate decide. Unfortunately, this movement has been launched to coincide with the release of the 2010 and 2011 vintage wines, two of the most challenging in Oregon’s recent modern wine history. I am all for elegance and restraint in Pinot Noir, but a number of the wines reviewed here are just too austere for my liking. The 2012 vintage should provide a much better platform for this movement’s voice. 13.7% alc., pH 3.62, TA 0.52, 125 cases, $38, screwcap. 667, 777 and Pommard clones. Aged 12 months in 335 new French oak barrels. Unfined and unfiltered. Winemaker Tim Wilson. Vineyard farmed by Joel Kiff. · Moderately light reddish-purple color in the glass. The nose displays an appealing marriage of black cherries and oak. Fresh, bright and flavorful, featuring black raspberry and black cherry fruit with a slight touch of peppery spice. Moderately rich with balanced, soft, dry tannins, and some length on the generous finish. This wine also has some textural interest and is beautifully crafted. Very good. 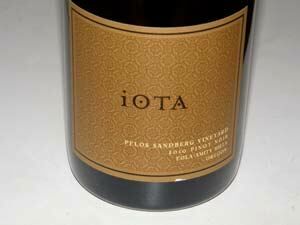 One more noteworthy Oregon wine. 12.9% alc., 402cases, $38. Pommard, Wädenswil, and Dijon 667, 777 from six estate vineyard blocks. Aged 10 months in 47% new French oak barrels and an additional year of bottle aging before release. Unfined and unfiltered. · Moderately dark reddish-purple color in the glass. Intense black cherry, plum and spice aromas with a hint of toasty, cedary oak. Discreetly concentrated flavors of smoky black cherry and dark raspberry fruit robed in balanced, dry tannins, finishing with an infusion of black raspberry jam on toast. There is a little more oak talking at present than I prefer, but this should integrate further with another year in bottle. Good.